Check out our 235-acre campus in vibrant, diverse Waltham. Extra credit: The views of nearby Boston, America’s premier college town, are amazing. Sit in on a class, meet professors and students, take a tour and attend an information session. Tours and information sessions are generally offered Monday through Friday. Check our visit calendar for select Saturday availability and holiday closings. 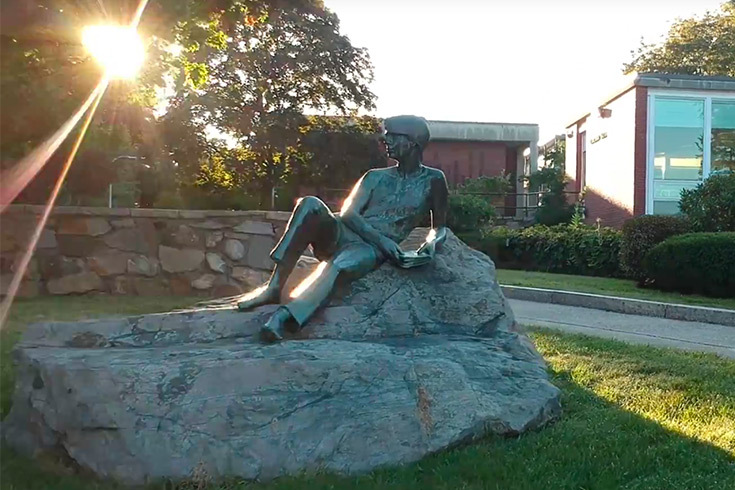 Brandeis is nine miles west of Boston, the capital of Massachusetts and New England’s largest city. We’re easy to get to: More than 40 airlines fly into Logan International Airport, the campus is within a half-day’s drive of every major city in the Northeast, and Boston is a hub for Amtrak and several major bus lines. Many lodging options are available in Waltham or just a short drive away, including extended-stay hotels, Airbnb rentals and boutique hotels. For even more choices, you can try Boston, which is easily accessible via mass transit or car. Waltham is foodie heaven. Find Italian, American, Greek, Indian, Mexican, seafood, kosher and vegan menus downtown and on Moody Street. The historic city of Waltham — population 60,000 — offers a wide array of restaurants, shops, and theaters to suit any taste. Downtown Waltham is just a 20-minute walk from campus or a quick trip on the university shuttle. Money Magazine ranked Waltham as the best city in Massachusetts in which to live. The magazine said, "Diversity is also a plus here: Approximately one in four residents was born outside the U.S. That’s reflected in the area’s restaurants, especially along the renowned Moody Street, where you can dine on everything from pho to tapas to tandoori kebabs." The trendy Main Street–Moody Street area, with its dozens of ethnic eateries, fine antique shops and popular boutiques, has become one of Greater Boston's most popular night-on-the-town destinations. From there, it's a short walk to the Embassy Cinema, a six-screen multiplex featuring a mix of independent film, foreign-language cinema and Hollywood favorites — not to mention an espresso bar. One of the nation’s oldest and most historic cities, Boston is also young and contemporary. 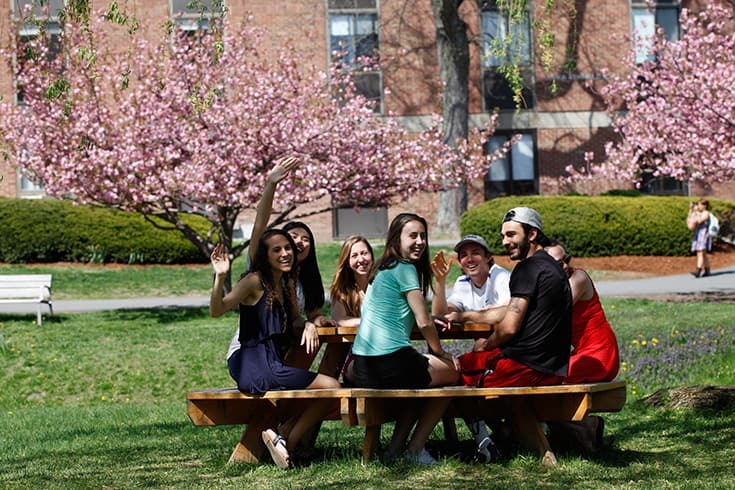 You can’t miss the vibrant impact of the 250,000 college students who live in Greater Boston. Live music, great theater, world famous museums, fabulous food, championship sports teams, breathtaking architecture and cityscapes make Boston a global destination. Brandeis’ host city of Waltham is a short car or train ride from Boston. And a Brandeis bus shuttle runs to Beantown 30 times a week. We want you to make the most of your visit. If you need assistance, contact Student Accessibility Support before you arrive and we’ll make sure you get the help you need. If you need an ASL interpreter, please let us know three weeks in advance of your visit. You can request to have lunch with a Brandeis student — and it’s on us. See what’s available and reserve your slot.